on saturday, we finally made it to spicy & tasty. 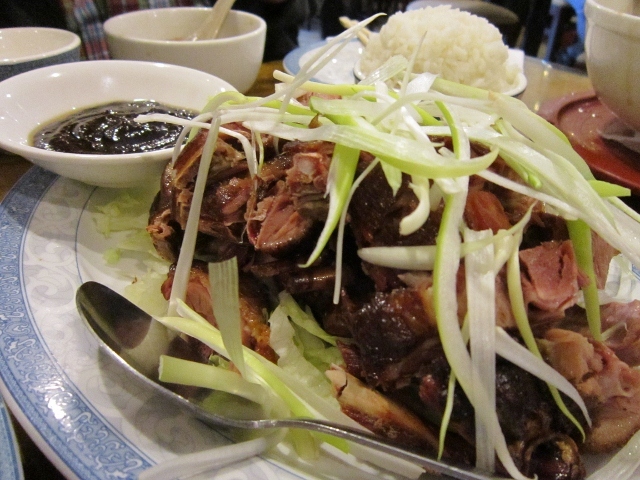 once in a while, we make our way out to flushing to get a taste of the real chinatown of NY. it’s also nice to check out the supermarkets there and stock up on asian food needs. the restaurant has been mentioned on many websites and blogs and most of the time there was a long line and we decided to stick with our regular favorites. as we arrived wuite late for lunch, we were lucky and the restaurant was almost empty. despite the C, we gave it a try. getting some recommendation from the waiter was not that easy and luckily janina had copied some of the favorites off the NY times. 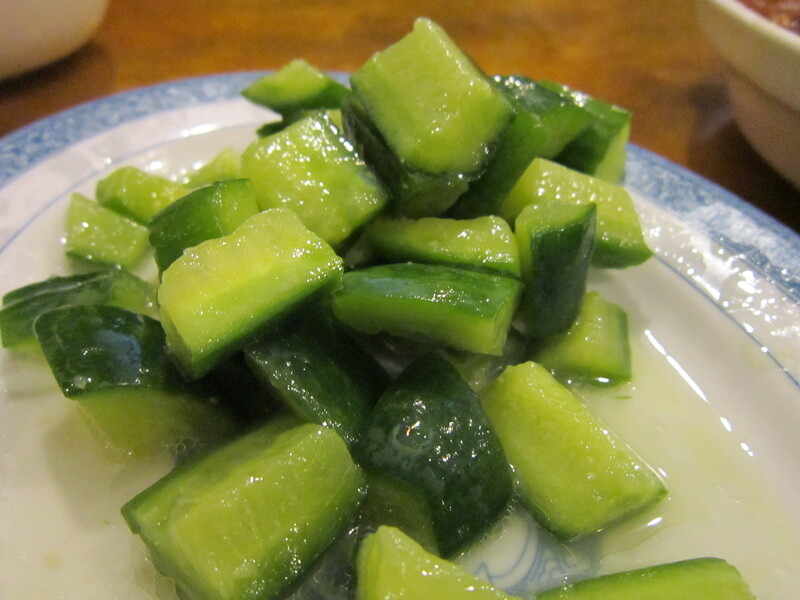 we started with a refreshing cucumber salad, with garlic and sesame oil. very good to cure the spiciness of some of the other szechuan dishes. a hot and sour soup that was quite sour to be followed by dumplings in a spicy, hot oil. the dumplings are good but not as good as our favorite spicy wontons at white bear just down the street. those are just the best. as entrees, the four of us shared some spicy pork (at last, a recommendation from the waiter), spicy shrimp with black beans and smoked duck. being a bit spoiled from duck at a german chinese restaurant, where you would always get a nice, boneless duck breast, I do not like duck here too much. it was good, with the peking duck sauce and some scallions, but I don’t like to nibble on some tiny bone too much. the pork was ok, nothing too crazy though. but the shrimp, they were just fabulous! I could have eaten the whole dish just by myself. quite spicy, but I like that and the cucumbers came in very handy at this point. so if you ever happen to be in the area and the line is not too long, go for it!